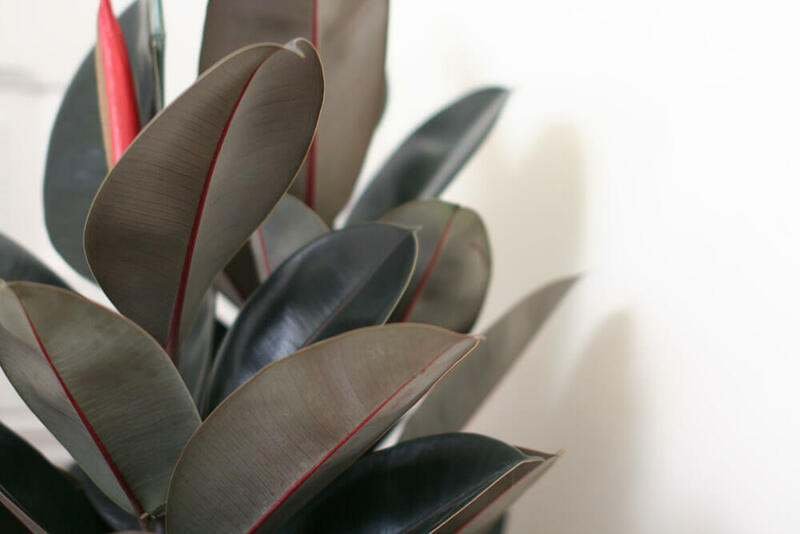 The burgundy-colored leaves of the Rubber Tree makes it a unique option for any indoor space. 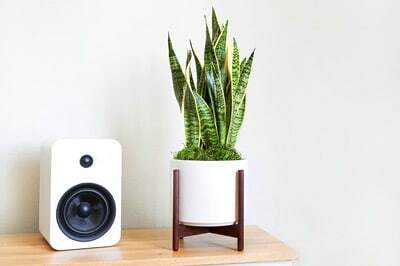 This plant grows quickly in ideal conditions and is easy to care for. 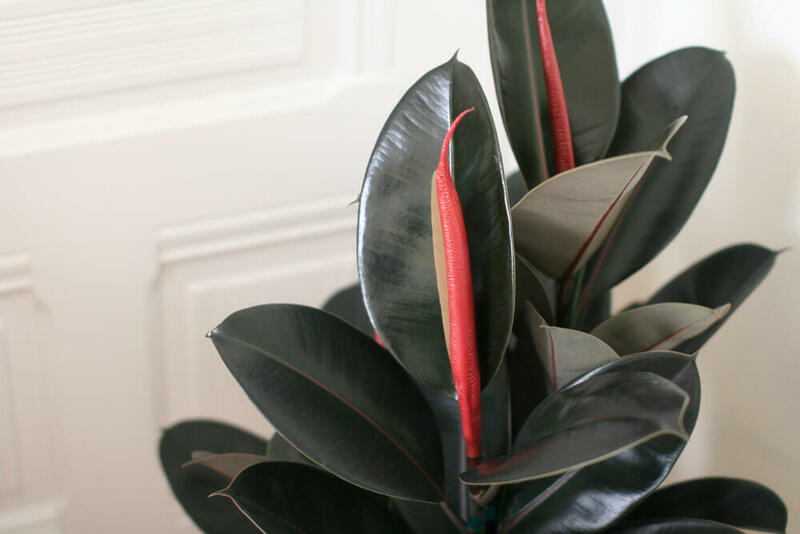 The crimson casings of new leaves adds a pop of color and is the perfect statement piece for budding plant parents. The Rubber Tree is a popular ornamental plant that can grow to over 30 meters tall in the right conditions. Its name comes from the milky latex in its leaves which was once used to make natural rubber. Native to east India, in some parts of the country, the roots of the tree are guided over chasms to form natural bridges! Follow the instructions below and you should not have problems with your Rubber Tree. 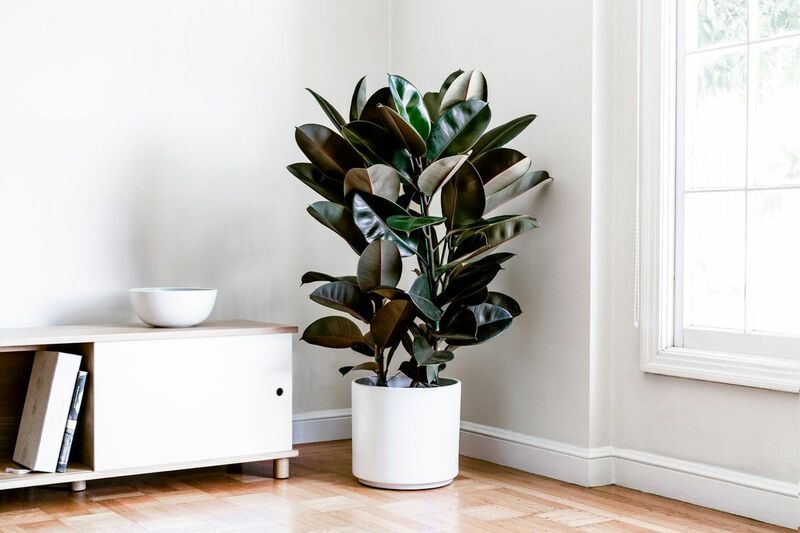 All plants experience some shock when moved around and may take a bit of time to adjust to their new environment in your home, but the Rubber Tree – like all our plants – is strong and adaptable, so take care of it and give it patience and it will reward you with its beauty. 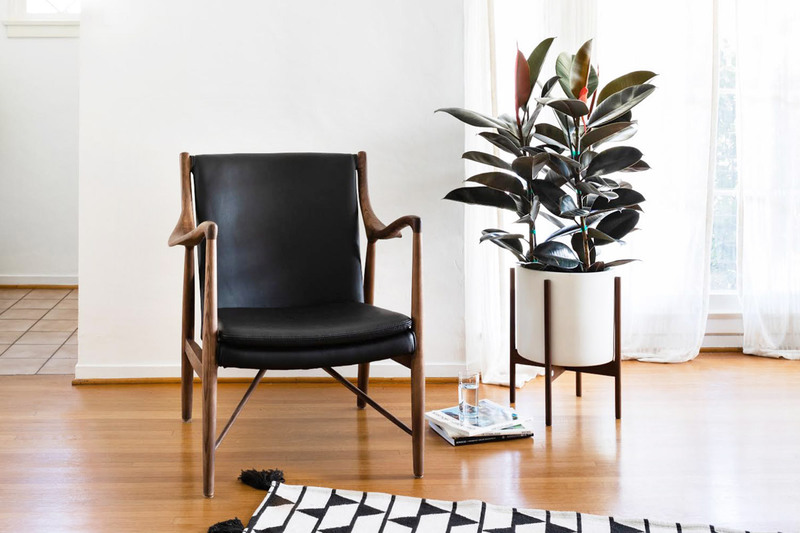 The Rubber Tree prefers bright indirect light, but do not give it direct sunlight for extended periods of time. It will do okay even in lower levels of light, but will grow slower and use less water. Water the soil evenly when the top couple of inches of the soil are dry, but do not oversaturate. Watering more than once a week is not advised. As with all plants, avoid overwatering and drain any excess water from the bottom of the saucer, as standing water may cause root rot. If it is overwatered, the leaves will get brown and mushy and may fall off. It is best to underwater this plant, though the leaves may start wilting if it doesn't have enough water. Note that the red sheath that protects new leaves will dry out and fall off as the leaf develops, but don't worry, new ones will come! Write us at hello@leonandgeorge.com with any questions about your Rubber Tree not covered here.